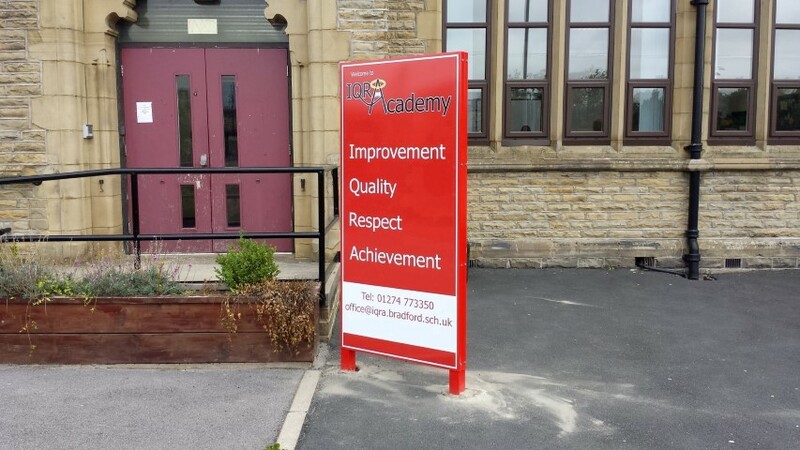 Multiple signs can be added to the sign units to allow directional information or achievement logos to be added. 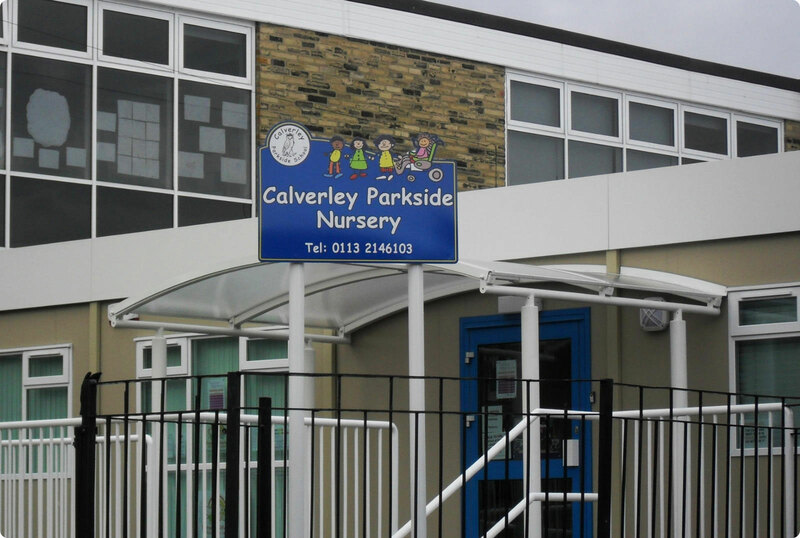 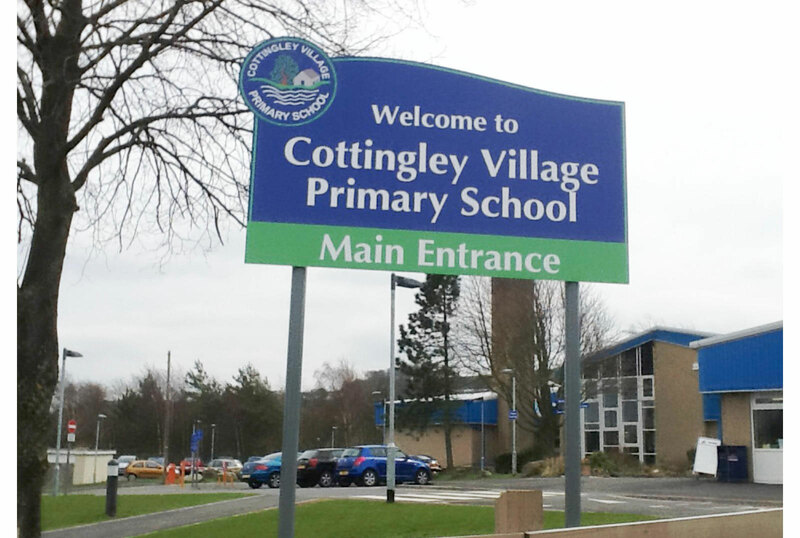 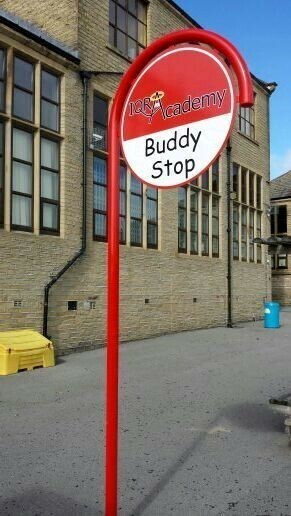 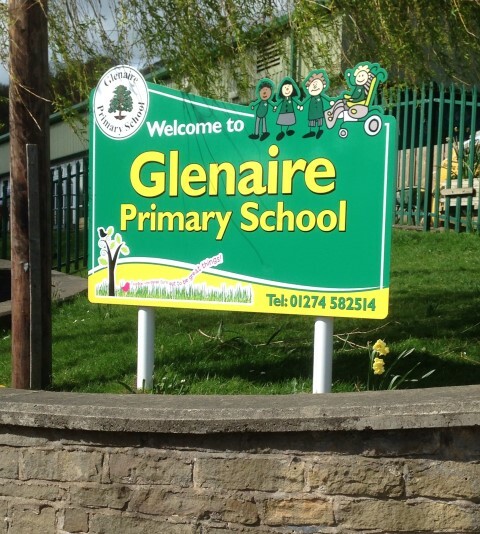 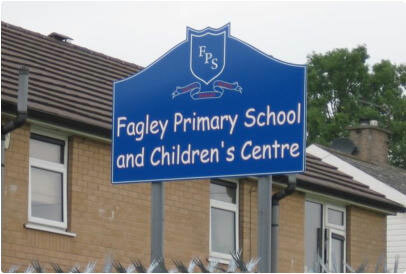 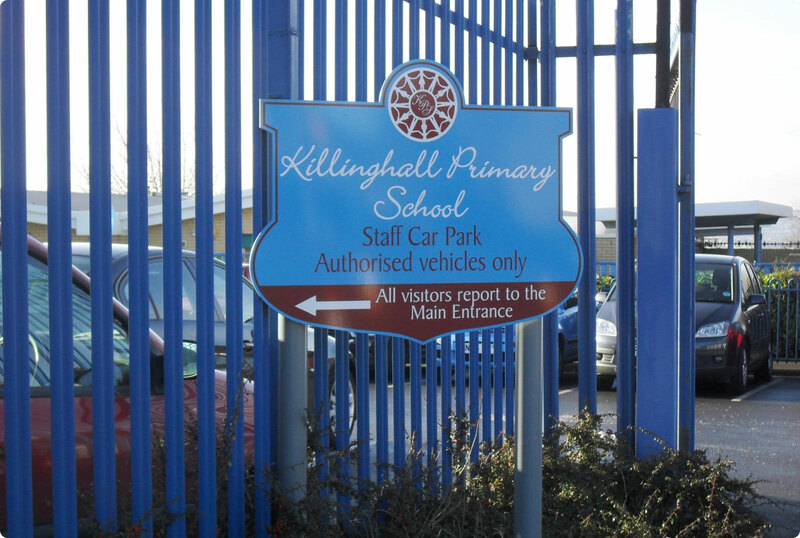 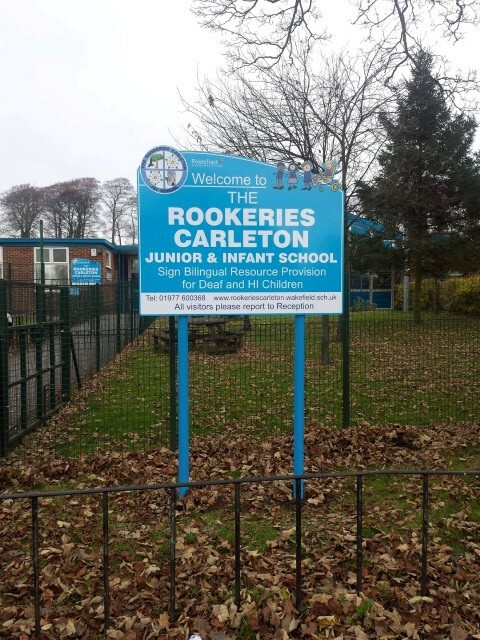 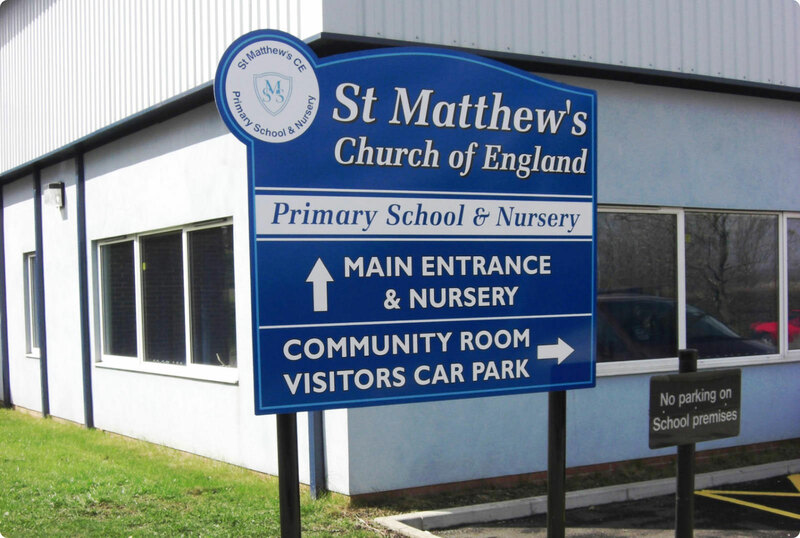 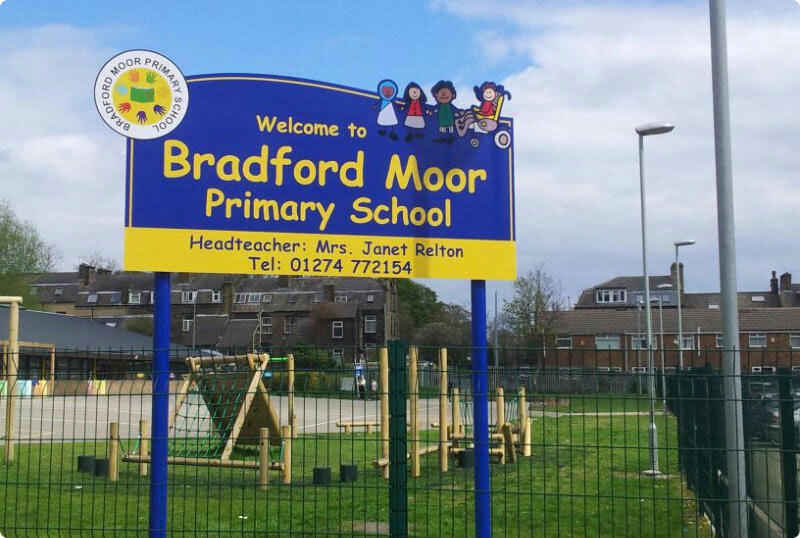 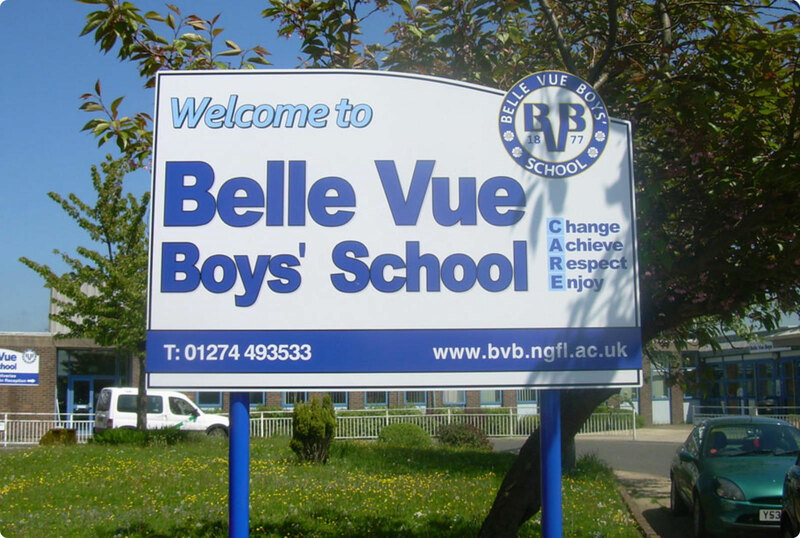 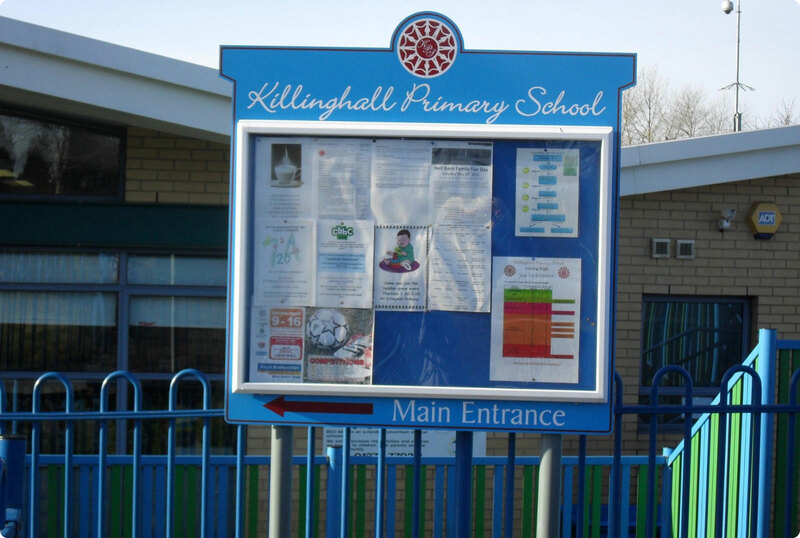 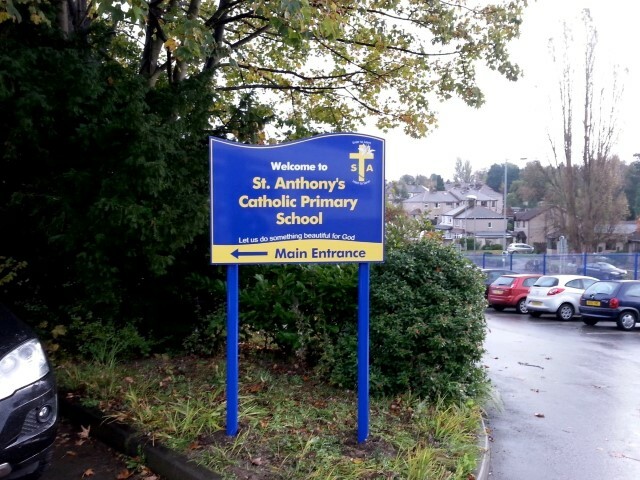 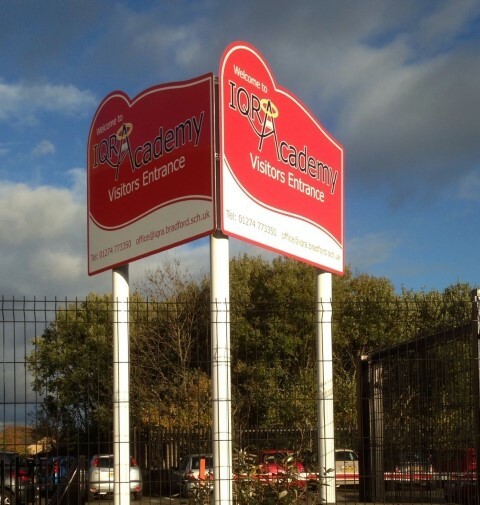 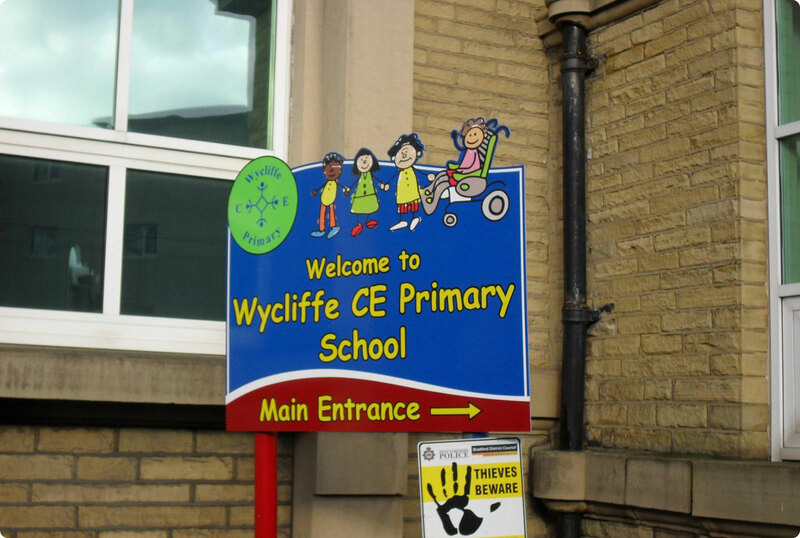 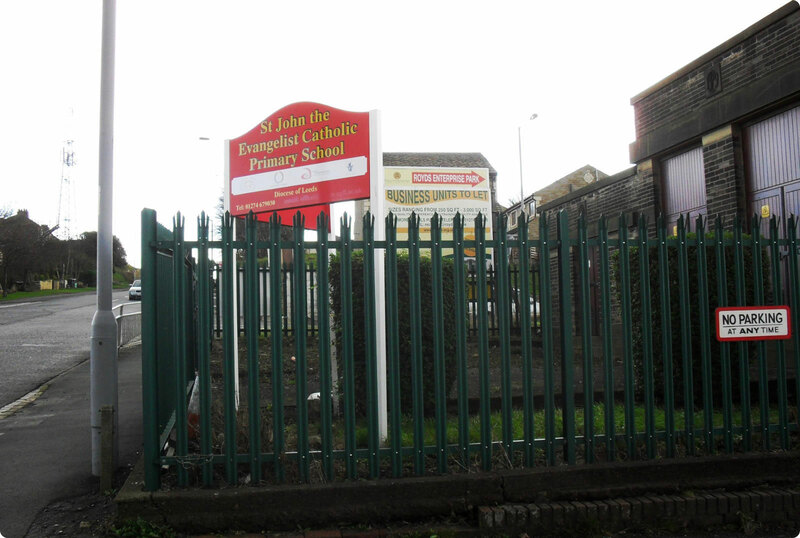 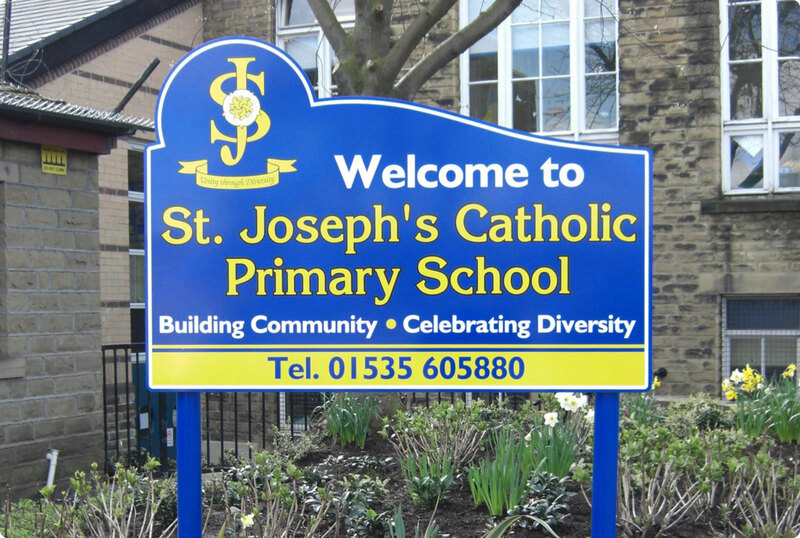 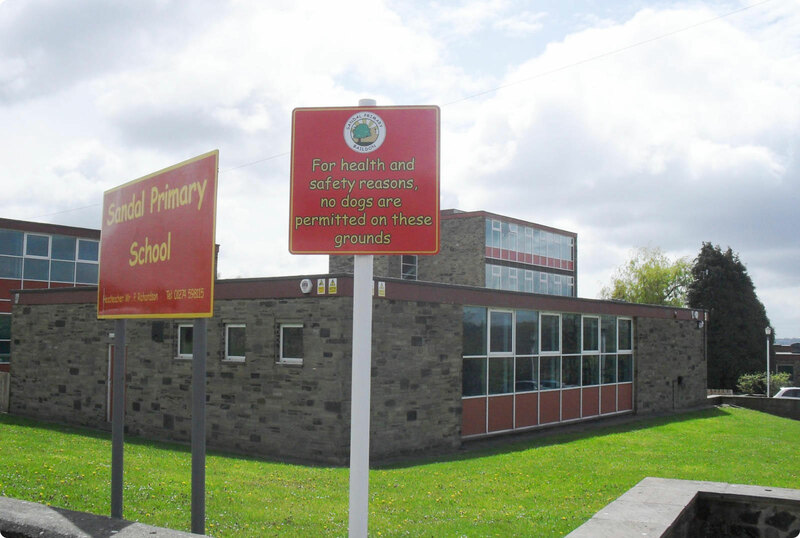 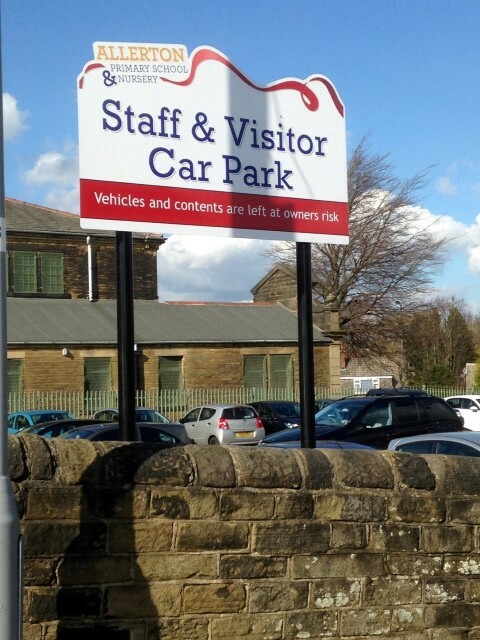 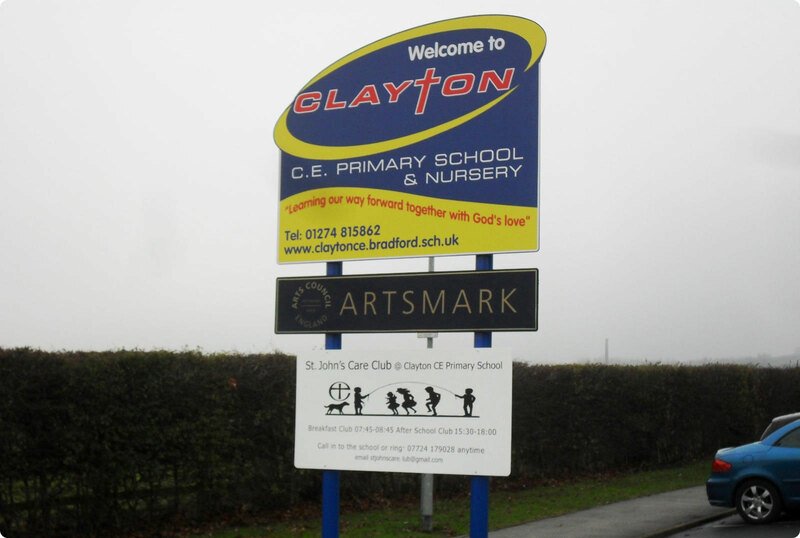 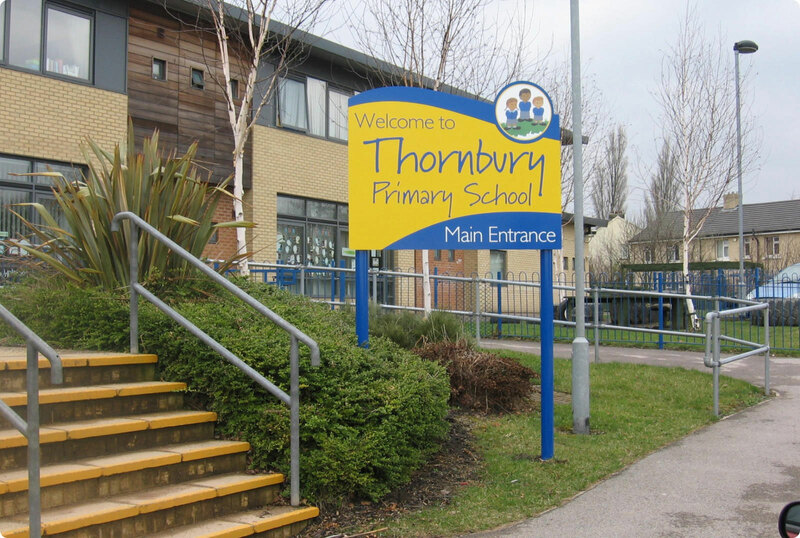 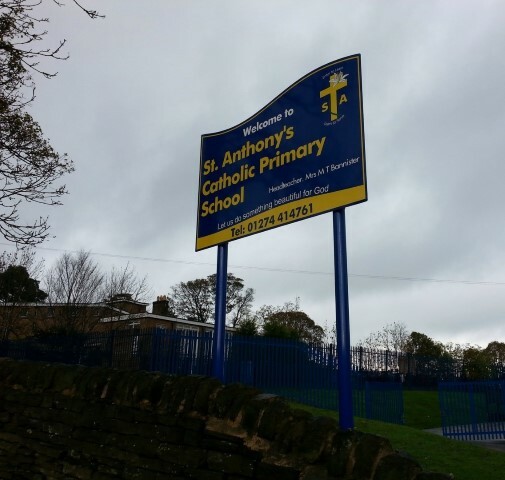 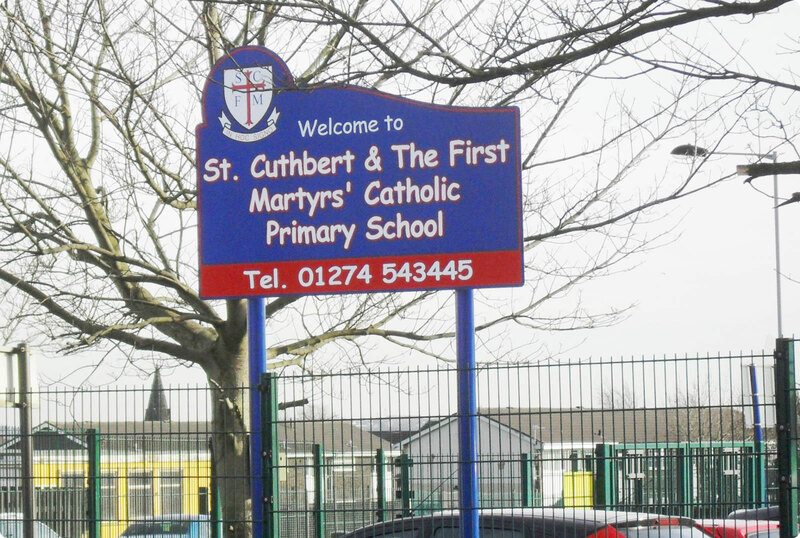 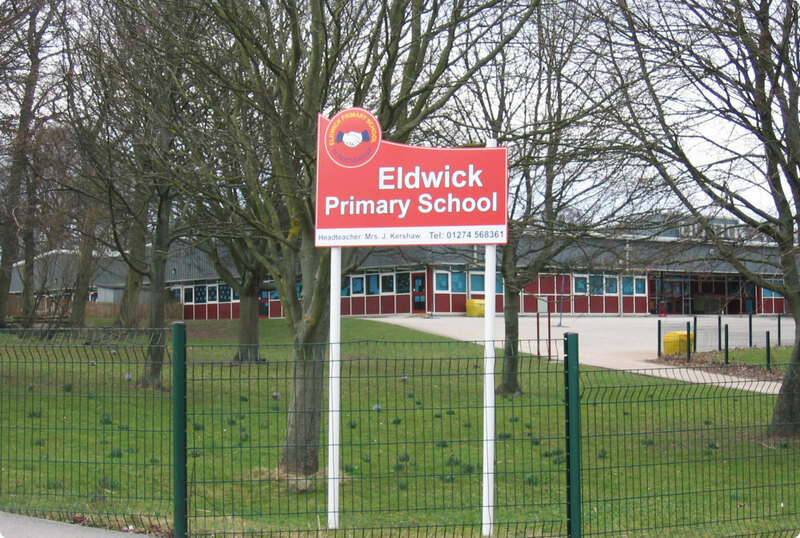 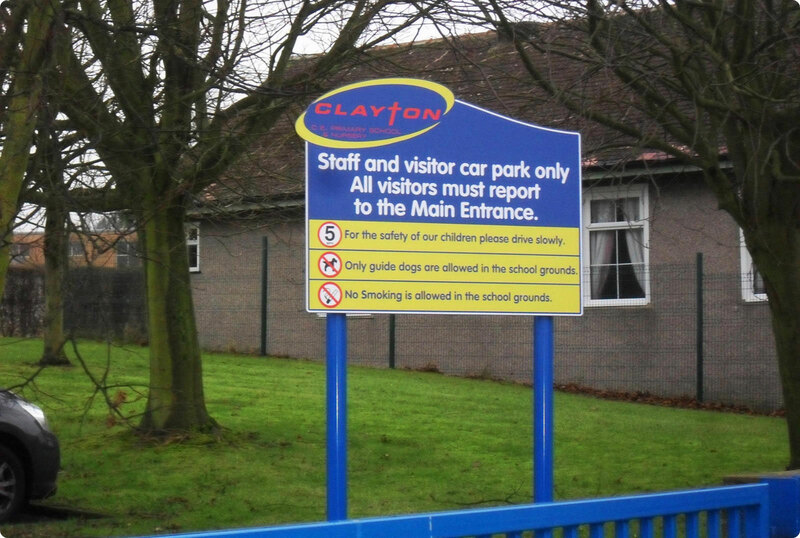 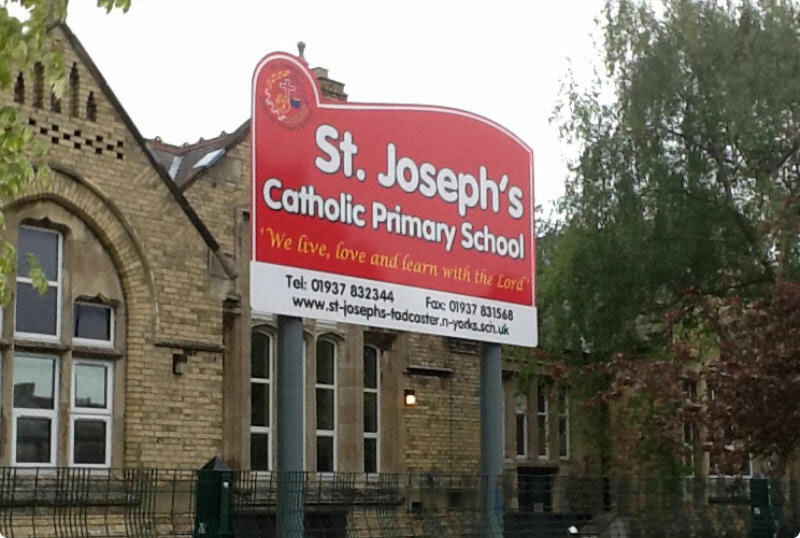 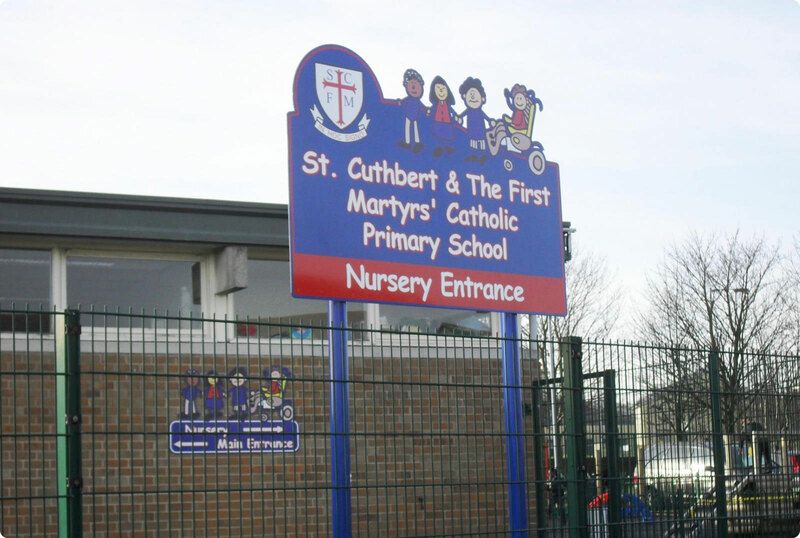 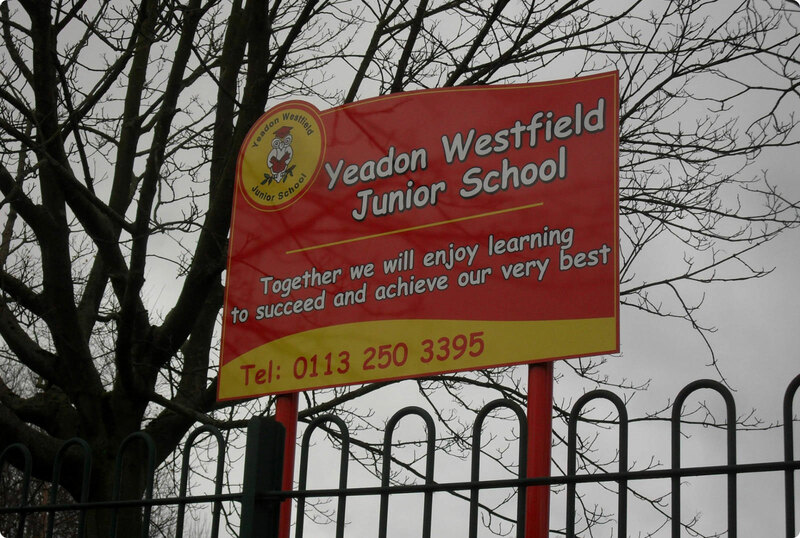 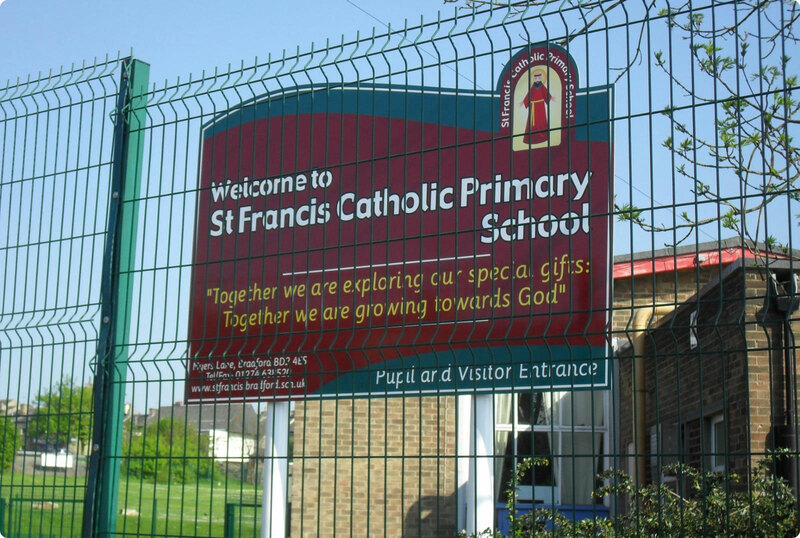 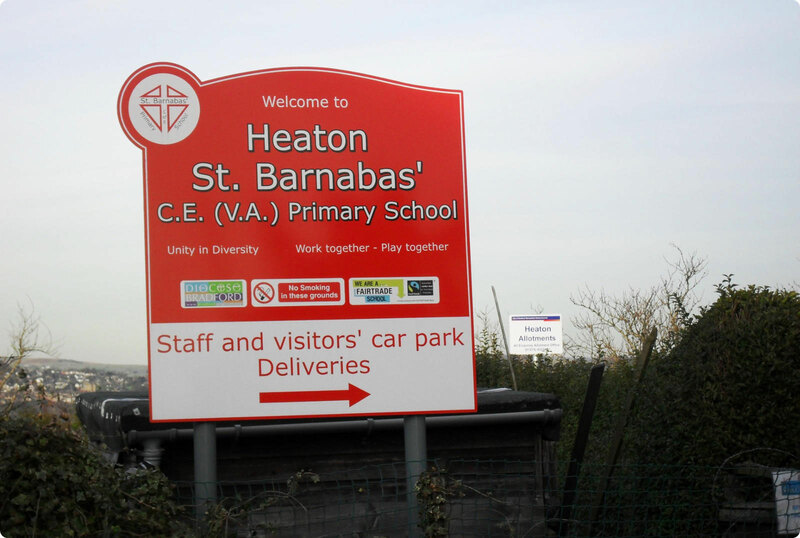 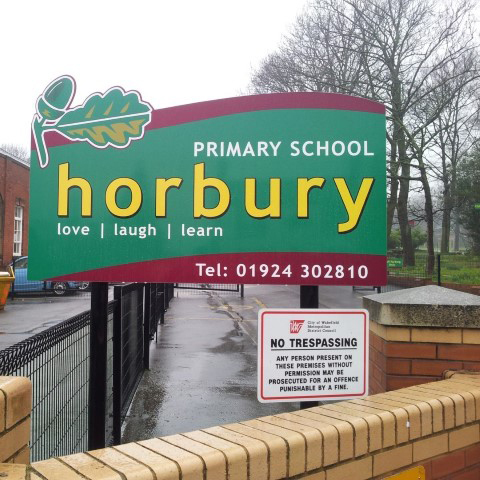 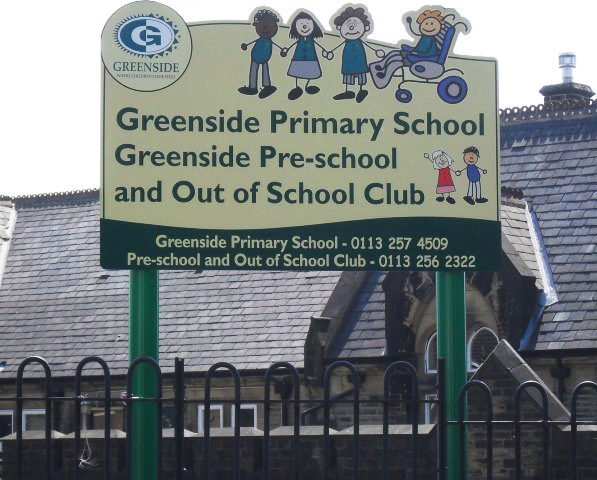 Our aluminium post mounted sign structures create an eye catching first impression for any School, Academy, College, Nursery or Childrens’ Centre. 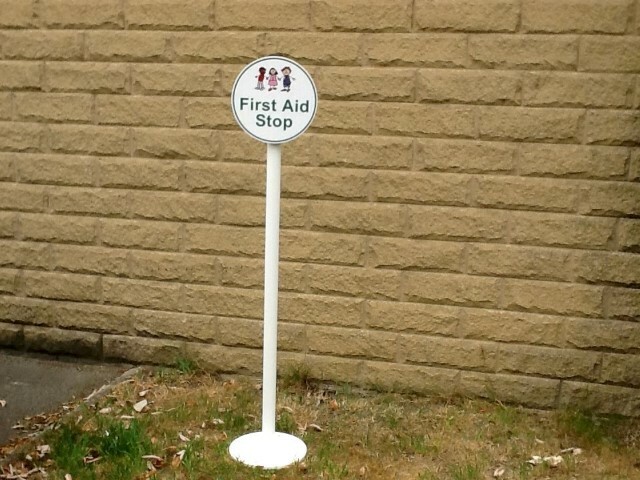 The post mounted sign units can be either single or double sided, with two design options for the double sided signs, either fixed back to back or mounted in a “v” shape. 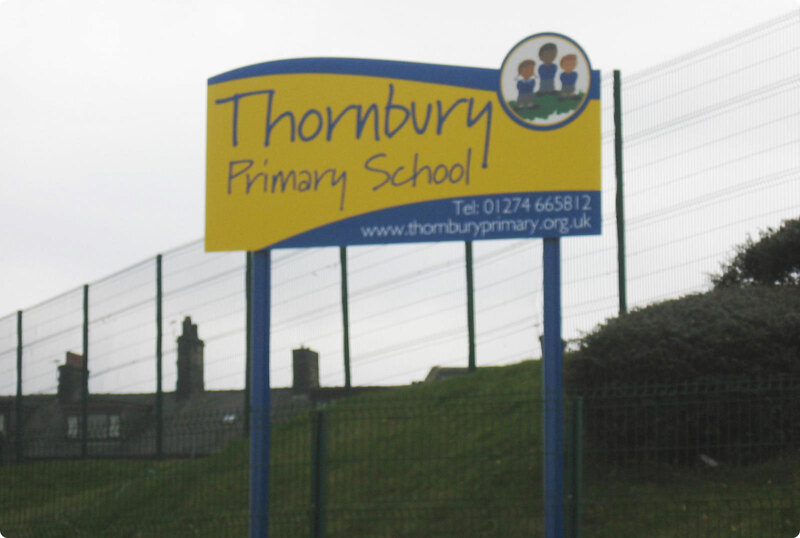 The signs can be mounted at any height to clear any fence, wall or hedge.